The capital of Catalonia, and Spain’s second largest city, Barcelona is a wonderfully vibrant city that has something for everyone. Sample its tasty cuisine, boogey away to the sounds of its nightlife, wander through the well preserved Gothic Quarter, spend a day on the beach, and marvel over its quirky architecture. You can do all this and more when you visit Barcelona. Take a look at our top 10 things to do in Barcelona for more ideas. One of the most influential artists of the 20th century, Pablo Picasso was born in 1881 in Malaga and spent a few of his teenage years here in Barcelona. The Picasso Museum was established in 1963, making it the first in the world to be dedicated to the artist, and features one of the most extensive collections of Picasso’s work. Arranged in chronological order, the museum has over 4,200 works and includes pieces that he created when he was just a young boy. Even if you’re not so much of a Picasso fan, it’s incredible to see the skill that he had from such a young age. Highlights of the collection include The First Communion (1896) and Science and Charity (1897). The museum is housed within five adjoining medieval palaces that date from the 13th and 14th century making this two Barcelona attractions in one as you get to see historic architecture as you’re viewing Picasso’s works. 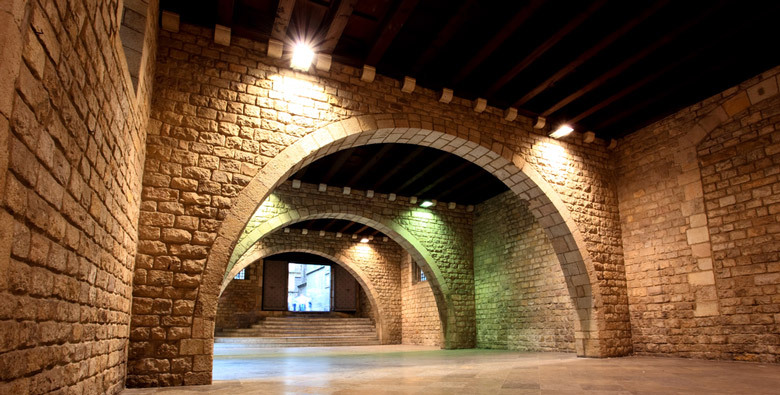 All five of the buildings have their own history and stories to tell, so if you’re interested in the architecture of Barcelona, be sure to take a good look at these buildings while visiting the museum. If you’re looking for things to do in Barcelona, a visit to the beach has to be on your list, whether it’s the height of summer or the middle of winter. There are several beaches along the city’s coastline but Barceloneta Beach is always recommended for its proximity to the city center and because it’s very nice! The golden sand is always clean and well maintained and the Mediterranean is inviting and warm during the summer months. In the winter you can walk along the sand or the promenade, enjoying the peace and quiet, while in the summer the beach is busy with sunbathers and swimmers. The great thing about this Barcelona attraction is that you’ll never be far away from shops, bars and restaurants. There are lots of little places lining the beach where you can grab a beer and a bite to eat, and it’s a relatively short walk back to the Gothic Quarter when you want to get back to the sightseeing. 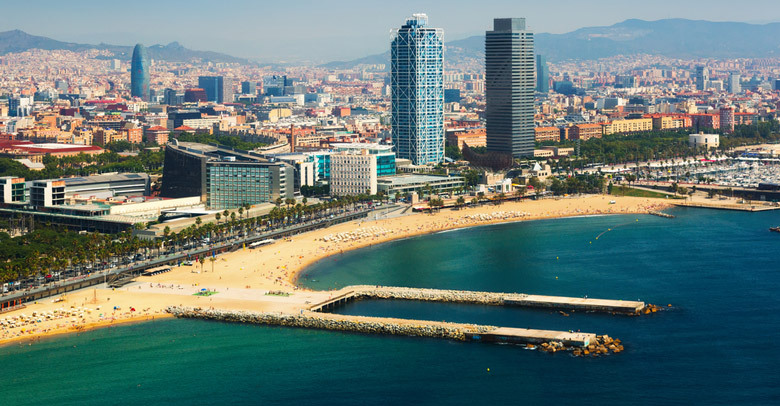 Or you can spend the entire day and evening at Barceloneta Beach as this is a popular spot for nightlife too, with its selection of nightclubs and lively bars. Park Guell is one of those places you have to see to believe! It’s a series of public gardens and whimsical architecture, designed, of course, by Antoni Gaudi and built between 1910 and 1914 though it wasn’t officially opened as a public park until 1926. Today there are several things that should put Park Guell on your “what to do in Barcelona list”… First there are the views which are very nice from here as Park Guell is perched up a little higher than many parts of the city. Second are the buildings and monuments designed by Gaudi. Third are the gardens themselves which make a lovely place to walk around. Visitors can wander around much of the park areas for free and you can go inside the buildings too but there is an entry price to pay. Tickets are sold for timed entry so it’s best to buy your tickets online in advance to guarantee that you will get in on the day you’re visiting. 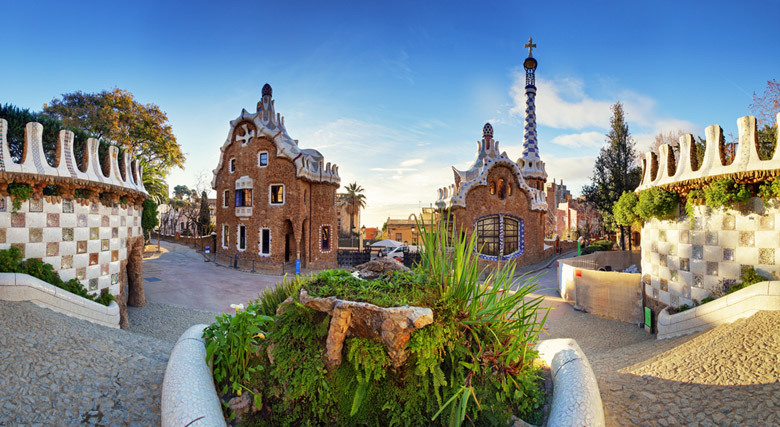 One of the attractions within Park Guell is the Gaudi House Museum where Gaudi lived for nearly 20 years. Today it has collections of furniture and other items designed by Gaudi. Barcelonans are passionate about their sports, especially soccer, and nowhere is this more evident than at Camp Nou. Estadio Camp Nou is a welcome break from all the architecture and historic buildings of the city, and whether you’re a soccer fan or not, this is an interesting place to put on your list of things to do in Barcelona. In Catalan it means “new field” and this huge stadium has been the home of FC Barcelona since it was completed in 1957. What’s impressive about this stadium is its size – by capacity, it is the largest stadium in Europe and the second largest association football stadium in the world with a capacity of over 99,300 people, and it’s also hosted major concerts including U2 and Bruce Springsteen. The best way to experience this stadium is on a tour but check in advance if tours are available on the day you want to visit. You’ll get to see parts of the stadium that you wouldn’t usually, including the TV boxes and trophy rooms, and there’s a museum to check out as well. If you are a soccer fan, arrange your visit for when FC Barcelona are playing a home game as the atmosphere is incredible. 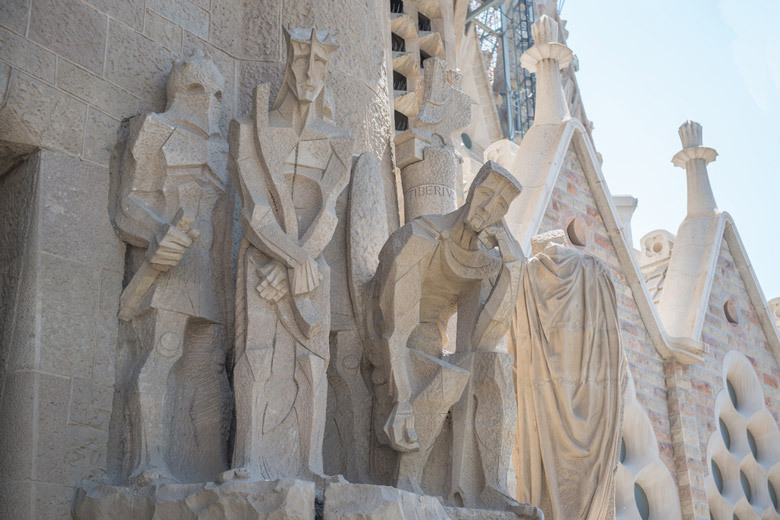 Many visitors to Barcelona claim that if you see just one of Gaudi’s works, make it this one. Casa Batllo is very small compared to the likes of Sagrada Familia, but it’s no less impressive. 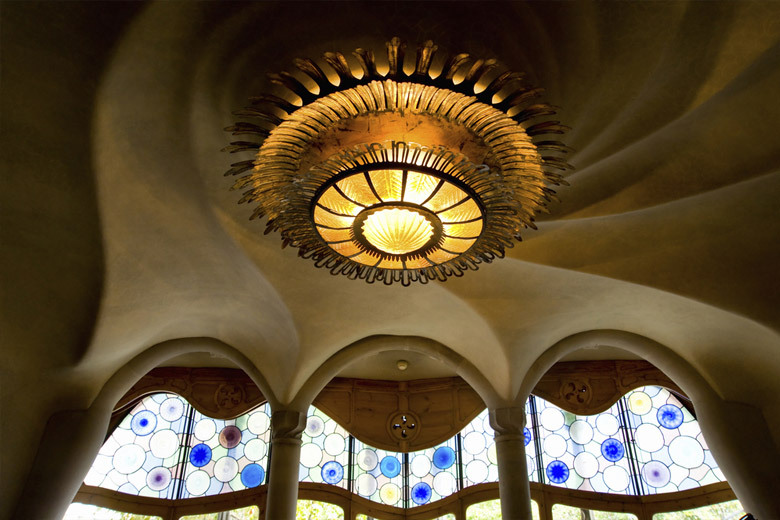 This architectural wonder should be on all visitors’ lists of what to do in Barcelona, especially when you tour the house using the interactive audio guide. Not only do you hear information about what you are seeing, you can hold up the interactive device for special features that show you, for example, how the rooms would have looked when it was a private home. 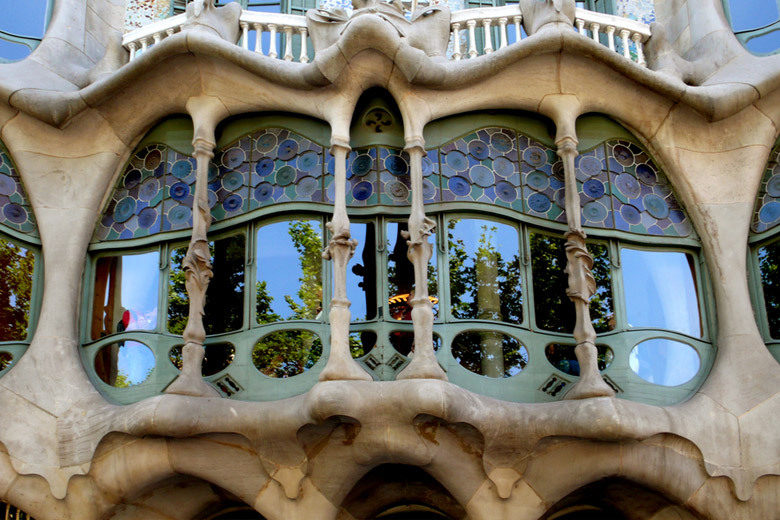 Casa Batllo was a complete remodel of an existing house and was redesigned by Antoni Gaudi in 1904. There are very few straight lines on this house, instead, interesting arches and angles, and irregular shaped windows dominate the façade which is mostly decorated with broken ceramic tiles. But the roof is probably the most striking thing – it resembles a dragon. Locally the house is known as House of Bones because of its skeletal like appearance. If you’re planning to visit this Barcelona attraction, get your tickets online and arrive early to beat the crowds. 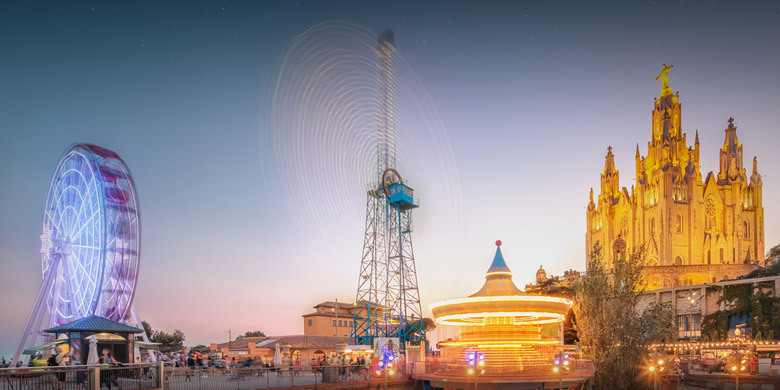 Tibidabo is one of the top things to do in Barcelona because it’s several attractions in one. First and foremost, Tibidabo is a mountain standing 512 meters (1680 ft) high and overlooking the city of Barcelona. This makes it a great place to come for outstanding views over the city and out to the Mediterranean beyond. In fact, there’s nowhere else in Barcelona that offers quite such amazing views. The second thing you can do on Tibidabo is visit the impressive Sagrat Cor church. This minor basilica can be seen from all over the city, standing proud perched atop Mount Tibidabo. It was built between 1902 and 1961 in the Neo-Gothic style and has a beautiful interior that you should definitely see while up here. The third reason to visit this Barcelona attraction is the amusement park. The historic amusement park has been in operation since 1899 and still today it features many of its original rides. Being historic you won’t find thrilling roller coasters here, but if you’re visiting with kids they’re sure to enjoy what is on offer. If you’re feeling energetic, Tibidabo can be reached by hiking up the mountain, or you can travel on the funicular. 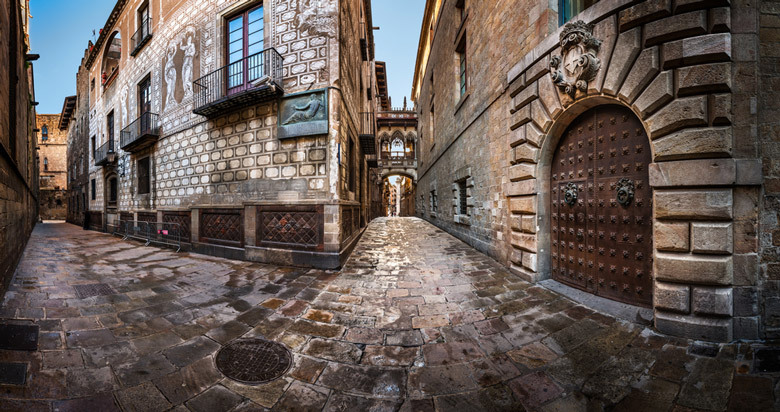 Located within the Gothic Quarter of the old city, the main museum is accessed through Padellas House courtyard which is a fine example of a Catalan gothic courtyard. Often known by its acronym, MUHBA, Barcelona City History Museum is one of only two museums on our list of what to do in Barcelona. 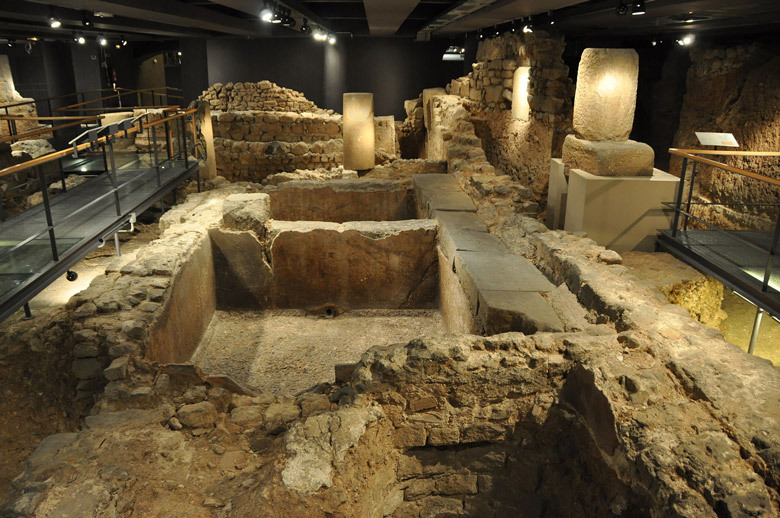 We chose to feature this one as the museum provides a great way to discover more about this ancient city and to see, first hand, what Barcelona looked like in Roman times. Journey underground to see the archaeological remains of the ancient Roman city and see exhibits about daily life as well as remains of a factory, shops and streets. If you don’t know Catalan or Spanish, the English version of the audio guide is highly recommended as there are few English translations on the exhibits. The audio guide is very good though, and more than makes up for this. MUHBA also oversees several heritage sites around the old city so you’re likely to see the name keep popping up as you wander around the streets of Barcelona. Known in Catalan as Barri Gotic, Barcelona’s Gothic Quarter features a myriad of historical buildings right in the heart of the old city. Many of the buildings date back to Medieval times and there are even some remains from Roman times including parts of the old Roman wall. Filled with quaint streets that are all arranged in a labyrinthine order, this is one Barcelona attraction that you should take your time in, exploring some of the lesser traveled streets and wandering in and out of its many small churches and coming across lots of squares. The nice thing is that the Gothic Quarter is largely closed to vehicle traffic so you don’t have to worry about traffic noise or avoiding passing cars. There are of course shops here, as well as a smattering of bars and restaurants that provide a place to stop and get refreshed as you walk around. And if you’re really keen to find out more about this old part of the city, hire a guide to take you around or be sure to see the major landmarks including Barcelona Cathedral. With so much to see and explore, the Gothic Quarter is one of the top things to do in Barcelona. 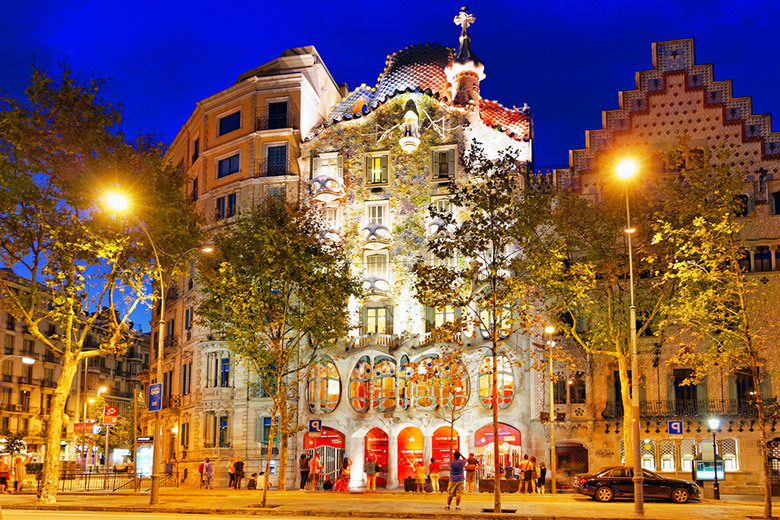 One word is frequently used to describe this Barcelona attraction, and that is: beautiful. Meaning “Citadel Park”, Parc de la Ciutadella was for many years the only green space in this bustling city and while today there are numerous other parks around the city, this one is often named the best. 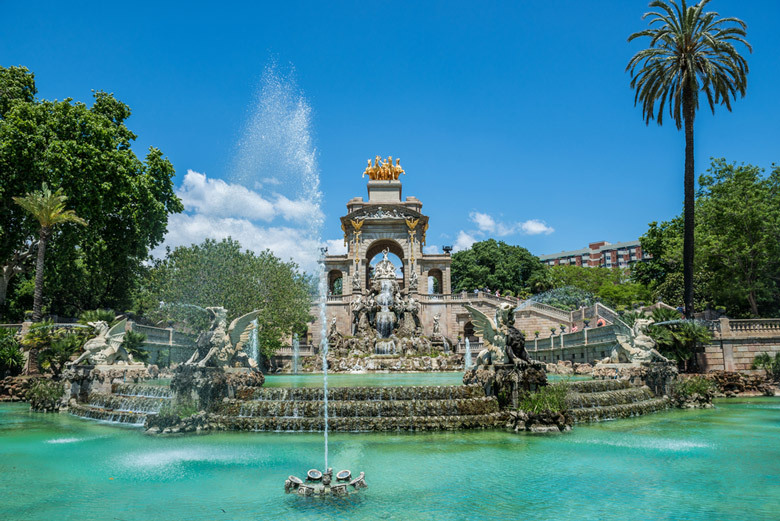 Set over 70 acres this popular thing to do in Barcelona is not just a park; it also features a zoo, a small lake, museums, the Parliament of Catalonia, and a huge centerpiece fountain. The zoo is nice to spend some time in, especially if you’re visiting Barcelona with children, and from there you might like to pop into the Museum of Natural Science. Be sure to spend some time soaking up the sun in the plaza in front of Cascada Monumental, the park’s impressive fountain, and you can buy ice cream and drinks from the stall near the fountain. But if you just want to spend some time enjoying the trees, birds and flowers, away from the traffic, Parc de la Ciutadella is the perfect thing to do in Barcelona! 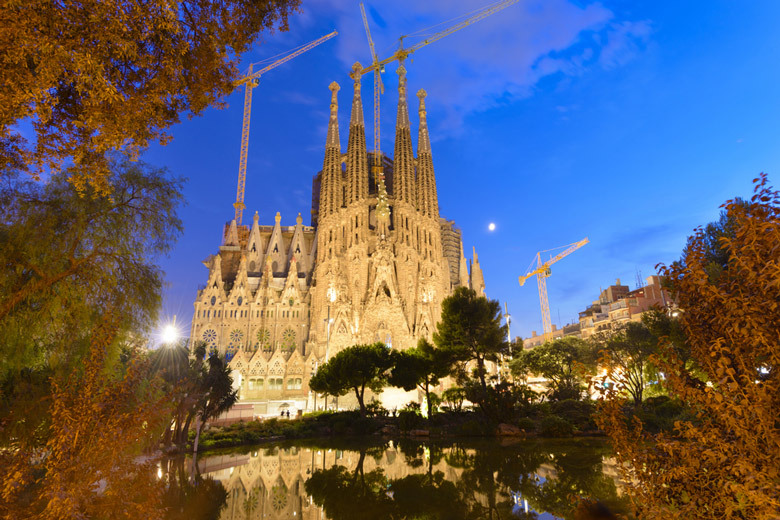 It’s funny to think that Barcelona’s best known landmark is a building that remains unfinished, despite the fact that they started constructing it way back in 1882. The Basilica of the Sagrada Familia is by far the top thing to do in Barcelona. 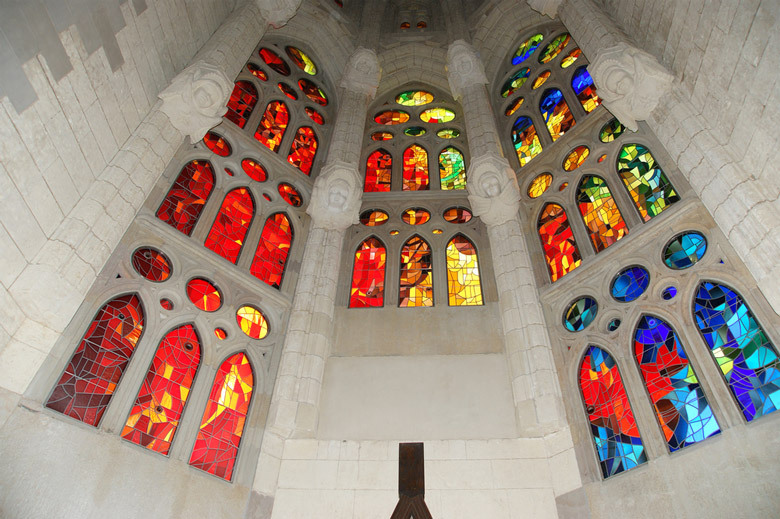 It’s a huge Roman Catholic church that’s a testament to its architect, Antoni Gaudi. No doubt Gaudi was hoping to see the church completed, but by the time he died in 1926 it was still less than a quarter complete. Even despite being unfinished the church was consecrated as a minor basilica in 2010, and was declared a UNESCO World Heritage Site even before that. Mind blowing architecture that is Gaudi’s own interpretation of the Middle Ages’ Gothic style of architecture, Sagrada Familia is amazing from the outside but equally impressive inside. Surprisingly the interior is filled with light and beautiful colors where the sunlight streams through the windows. Guided tours are available and you climb up inside one of the towers to experience more of the architecture and of course to admire the views. Be warned that this Barcelona attraction gets incredibly busy, so it’s best to buy your tickets online in advance.